Whilst we have been busy tinkering with the back end of The Robot it’s been a minute since a we have had a Transmit mix gracing the home page. Now, thankfully, the wait is over. We have recieved an awesome blend from resident Mancunian Liquid Drum & Bass and sometimes Dubstep producer Dekoi. 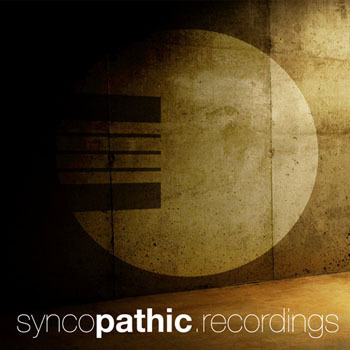 Featuring a myriad of vibes, the backbone of the mix is jazzy liquid DnB. Notable favourites in here from Grifta, Dramatic & dBaudio and Electrosoul System. What is Dekoi all about? What do you try to put across in your music, and what inspires you most? Firstly i’d like to thank you for having me on Robot Bodypop and taking an interest in my music. Dekoi is all about the music! aha but seriously I’m not trying to convey any political messages or anything, just trying to make music that people can enjoy as well as having my personal progression and sense of constant improvement. I’d say what inspires me most is the music i listen to, not just dnb but jazz, soul, funk, ambient, house etcetera. I learn new things from every song I listen to and try and use them to make my music more original. But also hearing positive things about my music inspires me to keep at it, if I hadn’t had positive feedback from friends and family I would have given up a long time ago. You’ve had releases on Echowide Music and Liquid Tones to date – What’s next? Any chance of an album? True! So what was the first piece of music you ever bought? How did your tastes develop to arrive at where you are now? I wasn’t really into music until I was about 12, my mate gave me a Drum And Bass Arena CD mainly filled with jump up which I wasn’t quite into but when I heard High Contrast’s Eternal Optimist I knew DnB was the thing for me, so I went off and bought High Contrasts Confidential album. This lead me to checking out all the old Hospital mixes and their extensive back catalogue. I was disappointed with Hospital Records’ more recent releases because they lacked that soulful, jazzy vibe. I hadn’t realised there were modern producers making the stuff, and one day I stumbled upon Fokuz Recordings and the huge tree of similar liquid labels – I haven’t looked back since. I have started looking into many different genres in the past year, broadening my musical tastes and knowledge. What’s the weirdest/most random sample or sound you have ever used in a tune? I once made a tune using only guitar that i had recorded. I can’t play guitar but that didn’t really matter because it didn’t have any strings! I just recorded random percussive sounds with it and through a lot of experimentation I managed to make synths and bass lines out of it. Skills! Who would you most like to collab with? Aww man that’s too open a question and i’m too indecisive so heres a few: Dave Owen, Blue Motion, mSdoS, Eveson, Random Movement and Intelligent Manners are all at the top of the list – sorry, I can’t pick one! What sort of music will we be listening to in ten years time? Hmmmmmmmmmmmmmmmmmmm… I just don’t know. Ok, well that brings us to our final question. What’s the largest animal you could throw over a crossbar? I wouldn’t dare throw any animal anywhere unless it was small enough to throw really far so I guess something like a mouse or a frog, but that’s just cruel ey? Not sure if The Robot has ever considered the ethics of this question to be honest! Here we go..
A regular in recent months on the Robot Bodypop show, Bulgarian producer Mloski got busy to provide us with a guest mix that showcases his own work. With releases on all the Bulgarian netlabels such as Jisatsuken, Mahorka, Monokom and Stretching Spaces as well as releasing his 5 track EP ‘No Face Hero’ on Russian label Otium, it was his long player ‘Labyrinth’ on ABCD that hooked us onto his sound. Beautiful soundscapes punctured with deep rhythms and solid beats made us excited to get the man in not only for a guest spot but to also find out a bit more about who’s behind these fresh vibes. Varna is not a huge scene for that type of music. The focus is on more commercial genres. There is a Bulgarian scene but it`s small and the growth is there to be seen but is not significant especially compared to bigger countries. 2. How did you end up producing the music you do? What journey did you take musically? I`ve created music for many years now. My early days were mostly ambient, drum and bass and IDM. Write now I`m using dub step elements in my music. I have many influences, I listen to a lot of different types of music, not only electronic. For instance – I love jazz. As far as what I`m making right know, I got there from within, led by intuition. I am not aiming for a specific style, I am going for the emmotional charge and the message of the tracks. Yeah, I do. I get invited to open-air festivals annualy, where I can make my fans happy with some of my new stuff. It is almost always moments to remember, because the festivals are held in great locations, either up in the mountains or close to the beach. The nature here is breathtaking and the people are always great. They come for the music and the great atmosphere. If I had to pick one , I`d say Artmospheric Festival is one of the more significant ones in Bulgaria. 4. Whats your favourite record in your collection? It`s hard to say, they are so many..but FSOL – Dead Cities is one that I have a special appreciation for. I would love to collaborate with many musicians, but two of the dream choices would have to be Brian Eno and Harold Budd. 6. We have featured your Labyrinth LP on the Robot Bodypop quite heavily. It’s a beautiful record. How long did it take to put it all together and were you pleased with the final result? I am very happy you enjoyed the album. It took me about seven or eight months. My producer and I had an idea for an EP with a few tracks and remixes, originally. We started at a few tracks and ended up with a whole album. I am happy with the outcome. I managed to make what I set out to do and I really conveyed the idea and the concept of the album as I wanted. 7. What have you got planned for the future? To make more music and put more time and effort into it. That’s what I want to do the most. 9. Do you have any plans to come to the UK? I would very much like to visit the UK, but I still haven`t had the chance. If I got an invite to perform there, I`d definitely go. .
10. Recently we have been amazed at the bass music Eastern Europe has been producing. Why do you think EE is excelling at making such deep tracks? I think it`s the Slavic gene and spirit at play. We are very warm and emotional people and most of the countries here have a predominantly Slavic population. That might be were the depth is coming from. 10. Whats the biggest animal you can throw over a crossbar? The tenth instalment of our Transmit Series is brought to you by Bristol based producer Actraiser. Whilst this mix is focussing on the sounds of Juke and Footwork beats he has a huge arsenal of sound at his disposal. He has forthcoming releases on Cut, Offworld Recordings, Loose Squares, Gradient Audio and Square Harmony. He has also produced soundtracks for upcoming Indie games on the xbox indie channel and iOS. Naturally, he has a lot to say for himself, so we will let him speak..
Hi, my name is Rob and I produce as ActRaiser. I produce deep electronic music of many genres and tempos. Currently I am producing drum & bass, dubstep, and the 160 bpm music that you can hear in the mix showcased here. I started speeding up some of my productions from 140 to 160 and thought it sounded quite cool, I then did some searching online and found out about the footwork / juke style music. At first I wasn’t really a fan but then it started growing on me, and once I discovered artists like Om Unit, Ital Tek, Kuedo, and Machinedrum I became much more enamoured with the style. I wanted to have my own ‘ActRaiser’ stamp on it so did several tunes, a mixture of the deep Dubstep I usually make, Jungle and Electronica in general. I was also inspired by many excellent video game soundtracks, especially the chilling Max Payne 3 soundtrack by the band ‘Health’. Nice to meet you Mr. Raiser. So, what’s your formula for sitting down and writing your music? What are the rituals you use to get you in the zone? When producing I usually have an idea of genre or tempo and then just start playing around with drum samples and soft synths until something starts to gel, much of the time I end up finding something I like that was completely different from what I originally set out to do, but I have to just go with what I am feeling in that moment. I often have several tracks on the go at one time and work a little on each until something clicks and I get it done. My productions are very varied as I love all forms of electronic music and find it impossible to stick to one style. Sometimes I think this could be a hinderence to building a name for myself, but I just have to do what I feel and can’t limit myself to one genre. One day i can be making deep drum & bass, the next a bouncy 130bpm house track or even a psytrance track for a video game. I don’t really have rituals for producing, I just get in front of the computer and experiment. I do find taking breaks to absorb myself in retro and indie video games can help, or just going out for a walk and listening to random bits on my walkman while checking out the scenery. Aside from bass music artists, which musicians from the wider world of music pique your interest? You have a very diverse style so we are keen to learn what inspires you.. Currently I am loving trip-hop and funk, from original 70’s recordings to modern funk / hip-hop by DJ Shadow / Cut Chemist / Mumbles / Bonobo etc I have a soft spot for cool car chase style funk music and have always enjoyed this style of music since I was young. You can’t beat a cool hip hop break and funk guitars! I often listen to ‘Amen Brother’ by ‘The Winstons’ to remind myself where Breaks and Drum & Bass came from. I also like the more dance floor modern take on funk by Featurecast and A Skillz, it’s great summer music! I experimented with this style a few years back when I released the ‘Like In The Deal’ LP on Freestyle Records. I am thinking of doing something similar in the near future. I also love 8-bit soundtracks, whether modern chiptune music or original Commodore 64 music made on the amazing SID chip. Many soundtracks for new indie games (such as Fez, Swords and Sorcery, Shatter etc) are amazing and are a constant source of inspiration for me. To be honest I can listen to anything and randomly be blown away by something then spend the next month listening to as much of it as possible before finding something else and repeating this process. If you weren’t making music, what would you be doing right now? Playing games, reading, out walking, writing gibberish online, or trying to figure out a way to become rich making music (easier said than done). I am a bit of a nerd and collect old Nintendo NES games. I have a huge collection of retro games and still play the classics to try and beat high scores.I really enjoy reading books about people’s travels, meeting people and visited places off the usual tourist trail. I also love the work of Hunter S Thompson, so if you are familiar with his style you get a good idea of my outlook in life and the type of literature I enjoy. Yep, we definitely get the idea! So, what’s the largest animal you could throw over a crossbar? Funny you should ask, this is a personal hobby of mine, i should have mentioned it earlier. The animals I have successfully thrown over a crossbar include: a cat, two Ducks, a Rabbit, a zebra, a snow leopard (bitey), and a Mogwai (they don’t enjoy it). And are we glad we asked! I think we may have a new champion in the animal hurling olympics! This is actually Volume 1 in a series focused on this particular style of Bass music – Volume 2 will be out next week – Keep your eyes on this page for the exclusive drop! 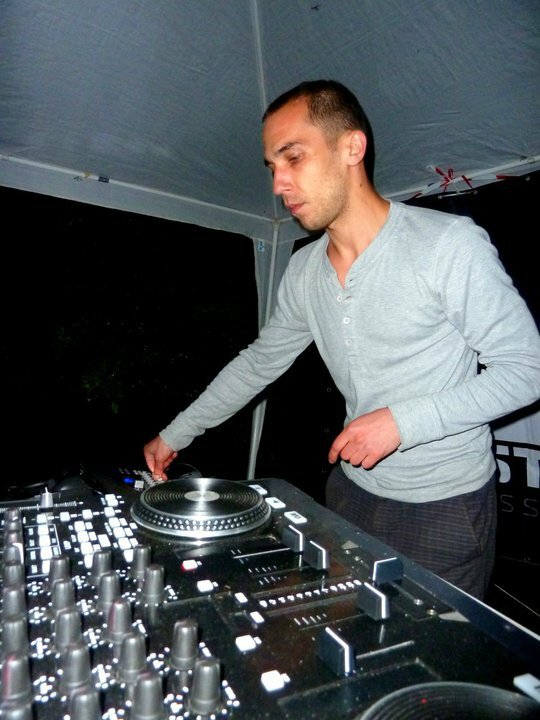 In the meantime you can also check Actraiser‘s recent Dubstep mix, also a free DL. Imagine a sound comprised from the various elements of US Hip Hop and UK bass music – a hybrid unlike anything heard before yet one which sounds uncannily familiar. Well you need imagine no longer as that is what Stefan Ringer aka REKchampa delivers. His excellent debut album ‘Pocket The Rest’ is out now on San Francisco based Two Circles Records and he has a number of tunes knocking about on a name your price basis which you really ought to take a listen to. He is part of an emerging underground scene in the Atlanta area alongside artists such as P Villa, Time Wharp, heRobust, Ethereal and Divine Interface. These up and coming artists represent a brand new direction for bass music that people are gradually paying more and more attention to, and whilst the big money currently flows elsewhere this fledgeling scene comes from strong foundations and will continue to grow. REKchampa kindly took time out to talk to us; Here is what he had to say. We can definitely hear UK garage influences in your music as well as home-grown hip hop vibes. Which artists from these scenes did you listen to as you came up? Is there anybody in particular you would like to pay homage to for influencing your style? I enjoyed listening to Timbaland when I was younger..the tracks he made back then are some of my favorites. as I got older I started going into electronic genres..I really enjoyed listening to jungle.. Remark, Ray Keith, Tom and Jerry, ShyFx..
Nice! We are pleased to see that your mix is made up entirely of your own tracks. Is this your blueprint for playing out? What kind of venues have you played to so far and where did you get the best reception? When asked, I’ll get together an ableton set and play out that way.. But I get a few dj’ing gigs around the city.. Ive played at mostly bars, lounges, medium-sized venues… I like this spot in East Atlanta called 529 they play many different styles of music.. I played there my first time ever doing an ableton set performance… The place was smaller at that time but the crowd was there.. Everyone seemed to be really feeling the set.. The vibe was dope.. All love..
We’ve seen you say that you are trying to get out of the habit of using vocal samples in your beats. Will you produce purely instrumental tracks from now on or are there any vocalists you are planning to write songs with? I’d say that right now, I am still trying to get away from using vocal samples. I’ve been recording my own voice a bit recently. I have made a few tracks that are purely instrumental. I wouldn’t mind working with a vocalist. I have before.. I would want the vocalist to be experienced in writing lyrics. We would love to host a show for you here in Manchester. Are there any long term plans to tour in the UK? I would definitely like to do that..But I would have no idea of how to get something like that together.. I’m novice to touring and things of that nature..I would love to come out there though..
We’ll see what we can do.. Finally, what’s the largest animal you can throw over a crossbar? We would like to thank you for this incredible mix, and we wish you great success for the future! With the Transmit Sessions we’re trying to get people to represent their individual sounds and vibes be it through music they make or put out there for others through imprints and releases. Russia’s N.Killah keeps it all in house. Both D.J. and producer he also founded and runs the mighty N.Realm Recs label. The label is dedicated to, in his own words, ‘true dubstep’. 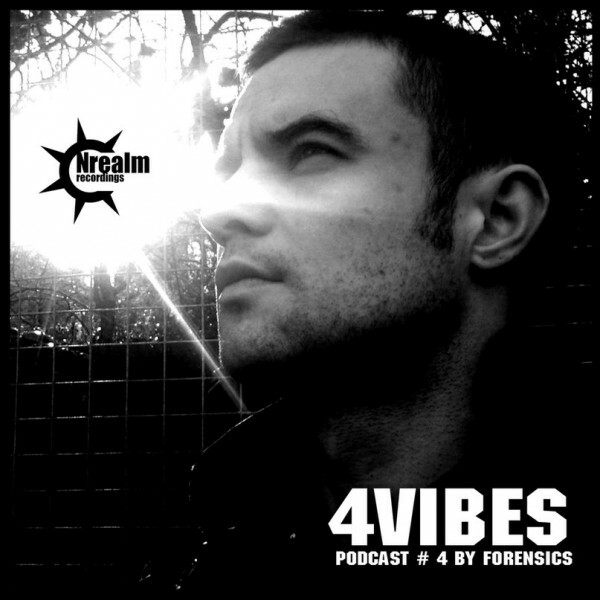 On top of all this, N.Killah also manages to find time to put out the 4VIVBES podcast which is packed full of plenty of bass music featuring some of the labels other artists. The most recent show sees Forensics in the mix with a serious selection of tracks from all corners. 1. how did N:realm recordings come to be? have you always wanted to run your own label? N;realm has been created absolutely spontaneously. First I released two of my own tracks. Then my friends have supported me and gave their tracks for free. and think that this is a gold standard of fat sound. 3. Social networking means its easier to build a more personal relationship with followers of your music. How important is it for you to keep in close contact with fans of your music? I always keep in it. For example in time of tour after each set I always buy some beers and buzz with “mortals” I always answer on messages in social networks. 4. whats your favourite track on your label? 5. what producers should we look out for? N’Killah! No kidding is Faib, Pixelord, Roofout, Crispo (CRSP), Reixtra. 6. whats your favourite track in your record collection and why? Tes La Rok – Cold Blooded – I never get tired of that track! 7. what are your influences? 8. Do you think its important for producers to try new things musically? To do something new is important in any deed. Progress is our life! 9. When are you bringing Robot Bodypop to Russia? When russian people stop sacrifice their kids in the name of Skrillex. But I told about RBP to my fans and friends. This weeks transmission originates from way across the atlantic in the suburb of Chesterfield, Virginia deep inside the big ole US of A. Whilst yet to gain widespread recognition Controlled Kaos attention to detail and high workrate marks him out as one to watch in 2012. Big on the drums and atmosphere, his tight sub weighted productions have featured on numerous free releases as well as the ‘Timelapse’ LP on the Dank N Dirty Dubz label. There’s a brand new 3 track EP in the offing on LU10 this month, and he also has forthcoming releases on Depth Records and Illicit Trade, including the heavy roller above – ‘The Force’. The brand new ‘Slug Proof EP’ is out now. In addition to that you can catch his regular radio broadcast every wednesday between 1pm and 2pm GMT (6pm-7pm EST in the US) via electrolouis.com. We asked what we thought would be a few routine questions to get to the man behind the music. What was your first musical purchase? My first musical purchase was a drum set. Okay, great. Which is your favourite track in this playist? What does it make you think about? My favorite tune in the mix has to be Von D – Your the one, I love the jazzy vibes in it. We’ve not seen you do many remixes – Is there anything you are keen to have a go at? How do you feel about the whole dubstep remixing trend? I am not really big on remixes because I prefer to write my own, remixes are fun to mess around with though. As far as the whole remixing “trend” I think some are good some are bad and some are people just doing it to try to get noticed. Whats the biggest animal you could throw over a crossbar? Check out the Controlled Kaos Facebook Page – Free EP dropping at 500 likes! For our second installment in the TRANSMIT series we called on label boss Sub of Syncopathic Recordings. Initially thinking it would be around the 140bpm range, Sub surprised us at Robot Bodypop with a slick mix of 170bpm rollers. Inbetween the deep beats, theres a nod to the original jungle sound in there and quite frankly its awesome. The label was established in Innsbruk in Austria by Sub in 2007 and they are keen to point out that their sound lies within D&B in its purest form. Building soundscapes with complex drums and deep bass alongside detailed attention its a refreshing take on a genre that is finding its feet once again. The atmospheres created reminded me of why D & B gripped so many in its earlier years. With your label are you going for a particular sound or vibe to represent your artists? in the beginning of the label, which was 2007, i was only looking for drumfunk/amen artists as you can see when you look at the releases in the first year from artists like sumone, equinox, nebula, macc.. later on i opened my mind for the more minimalistic and glitchy kind of sound with releases by bop & dephecta, hidden paranoid society.. nowadays i am open for pretty much everything deep, doesnt matter which tempo! How did the label come about? is it something youve wanted from the beginning? I never had the intention to start a label, but at some point i realized there is so much great music and artists out there that will never see the light of day which kind of frustrated me.. so i decided to try to promote some of this music.. the first idea was to make it a free netlabel, but then i decided to sell the music to be able to provide mastering and artwork for the releases.. also i think most ppl dont worhsip what they dont have to pay for..
Do you feel, being a label owner that you can express yourself more musically as you’re able to put whatever you want out there into the public domain? I am definetely doing what i want.. lol..
Whats the favourite track in your collection and why? photek – the rain, bec it represents the essence of dnb and all related genres..
wow, that is hard, there are so many ppl out there i would love to work with.. but if i had to name one i would say robert glasper, that guy is working with harmonies like nobody else at the moment! Any upcoming producers people should be aware of? there are great artists popping out of the map every day.. there is this guy from singapore “diphasic” who is doing some brillant stuff! watch out for his release on syncopathic together with “rawst” from poland.. “rawst – medicine (diphasic remix)” is one of my favourite tunes right now – minimalism in perfection (check it in my guestmix).. also i have got a brillant release lined up by a guy called “deeper heightz” from the u.k., his tune “north shore” which will be on his syncopathic ep makes me goosebumps everytime i listen to it (you can find a preview on his soundcloud page)! two guys who are totally killing it right now are “parallel & relapse”, they have got a collaboration album forthcoming on dubkraft which will be a masterpiece in sounddesign and atmosphere! What influenced you as you moved through drum and bass and into the dubstep scenes? there are several lp’s that really hit me throughout the years.. “goldie – timeless”, “krust – genetic manipulation”, “photek – modus operandi”.. and in dubstep “burial – burial”, “headhunter – nomad”, “2562 – aerial”.. just to name a few.. If you could remix any track what would it be and why? photek – the rain, bec it is the essence!!! Any advice for people setting up their own labels? not really, i think everybody has to find his own thing.. treat music and ppl with respect, the bigheaded will not stand the test of time..
Whats the biggest animal you can throw over a crossbar? haha… no idea, but if you give me a capybara i try that one.. Check out the recent and forthcoming release, dig deep into the back catalogue and catch the exclusive mix on this weeks Robot Bodypop show.